I woke up on Thursday morning to several congratulations tweets, took me a bit to wake up and realise what it was for. I hadn’t slept well and has to be the only night in 3 years I hadn’t checked my twitter feed during the night. Once I did, I was over the moon to know I was a finalist in the MADS. I’d never been to the final of anything before and now I’m a finalist in the MADS. Then I started reading the list of the other nominees and found out I am a finalist in not 1 but 4 categories, how amazing is that? I cannot believe it and I keep thinking I’m dreaming or that Sally’s going to come back and say there’s been a mistake and I’m not a finalist. I really do. Thank you to everyone from the bottom of my heart who voted for me and got my two the final. I love you all. I am truly honoured to be a finalist. I write about my gorgeous boys and hubby, whom are my world. My writing, not that I think it’s any good but I do love to write horror or paranormal. Throw in some book reviews on what I love to read and some product reviews and with the exception of my job I pretty much some up my life and my passions, I love to write. I’m amazed, excited and honoured people read it. I love getting comments, this makes my day. So if you like reading my blog I’d love for you to vote for me. You will make me so happy and I’d give you a great big hug when I meet you in person. Or a virtual one if I don’t. 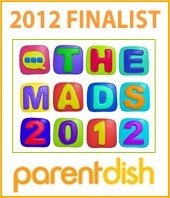 I’m nominated in the Best MAD Blog Writer Category, Best MAD Family Life Blog and Most Helpful MAD Blogger. You can vote for me here, just select my blog in the drop down lists. The latter category I wasn’t sure how I ended up there until someone said to me on Saturday at Cybher that I always DM to make sure they are ok, every week. I always listen and I’m there for them. I don’t find that worthy of being helpful, I’m just being me. I care about people, especially friends and will always listen and help anyone anyway I can. 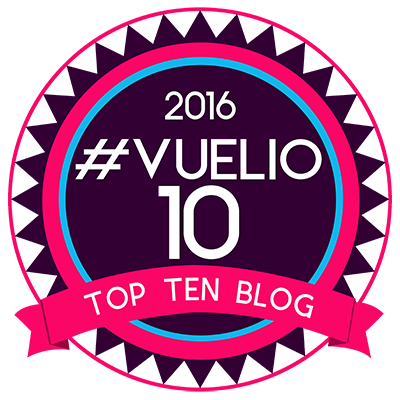 I am also nominated in Blog Post of The Year Category, you can read the post here. I wrote the post that I have been nominated for because I wanted to see how far I’d come in my journey with Post Natal Depression and I wanted to help others, let them see there is light at the end of the tunnel. They aren’t alone and to try the different therapies I had. There are options out there. It took my two years to write and I poured my heart into it. I really do hope it helps someone. The awards ceremony will be help in London on the 28th of September, which happens to be my birthday and my wedding anniversary. If I won, it would be the best present ever. I followed the ceremony last year via twitter and everyone has such a great time, that I cannot wait to be part of it this year. If that all wasn’t enough I am also a finalist in the Brilliance in Blogging awards, wow I did not see that coming either. So thank you again for voting for me in this also. You have made me a very happy bunny. As I said I love to write so being in the final of the Lit category made me day. Unfortunately, I won’t be able to attend this awards ceremony as I can’t go to Brit Mums live as it is on the week we finish our school year here and I need my holidays from work for the days off I need for school assemblies, etc. I hope everyone has a great time and good luck to all the finalists.